"May Your Glass Always Be Half Full" is the way I tend to look at things. This sentiment is a toast, a wish and a greeting you can use for many different occasions. I love the colors on this card: Basic Gray, Cherry Cobbler, Crushed Curry paired with Very Vanilla. The ink is Basic Black and Basic Gray. I used my Cherry Cobbler Stampin' Write Marker to color the wine in the glass and make the wine "pour " from the bottle. Crushed Curry Stampin' Write Marker colored the foil on the bottle. Next I layered on Clear Wink of Stella and lastly I added a layer of clear with my Fine Tip Glue Pen. The bottle is colored using Always Artichoke Stampin' Write Marker. Thank you for stopping by today! I hope you are inspired. I love to read your comments, so please take a few seconds to leave one, won't you? 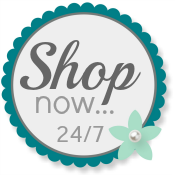 Please use my Online Store for shopping any time!